Lets beginn with a practical illustration. The president of the USA has a cabinet of advisers with whom he receives input from when making vital decisions that impact the country. The input they offer reflect the vantage point of their assigned areas of delegated function. Each Secretary within the Cabinet has his own designated area of responsibility. Accordingly, these responsibilities generate conflicting opinions. The Secretary of Defense, for example, may propose an immediae military response to a given siutation, whereas the Secretary of State may suggest a more displomatic solution. These conflicting proposals is what provides the president with the balance he needs when making an informed, final course of action. Without such balance, one can easily be deceived into making a quick but, erroneous decision. "Without consultation plans are frustrated, but with many counselors they succeed (Prov. 15: 22 NASB)." Aside from the inability to necessarily perceive the significance of the moral issues involved, the more people you seek advice from, the more diverse and conflicting opinions one is going to receive. Especially when dealing with a controversial issue, the advisors will usually be split down the middle as what one should do or not do. Instead of clarifying the issue(s), the water only gets muddier, with the issue of hurt feelings to deal with if one'ultimately rejects the advice he received. Many times it is not really information, but confirmation of what they have already decided that inquirers are actually looking for, evidenced by the reaction they exhibit when your input is not what they wanted to hear. Pastors must be very careful when giving individual advice. Seldom is he given "all" the facts, but rather only one side of the story (Proverbs 18: 17). When the counsel he offers is presented in the form of a sermon or similar presentation, the hearer knows that it was not as a result of the pastor's personal knowledge of anyone's personal situation. It is the work of God the Holy Spirit who takes the principles that the pastor present and makes application to the individual soul. Many times, I have received positive feedback telling me how a certain presentation touched an individual when the principle expressed was not even the primary subject of the sermon/presentation. Hundreds of persons will hear or read the same presentation, but be edified in totally different ways. The same thing happens when we read a passage of Scripture for the 10,000th time, but still get something new or refreshing from it. The devil, his spokespersons, other people, and our OWN fallen nature will not overlook the opportunity to express and offer MANY alternative answers that will appeal to us, but are contrary to what the mind (thinking) of Christ (1Cor. 2: 16) has to say on any given subject. Having made the mind of Christ a part of our edified soul structure is what prepares the advancing disciple to successfully address the inevitable Matt. 7: 24-27 "storms" of life." Failing to have been so prepared BEFORE the pressure of adversity is upon us is what makes us weak and easy prey for the devil and his forces of evil that wish to wreak as much havoc as God will allow in the realm of spiritual combat. One of the reasons that God allows His children to go into a tail spin and/or a nose dive from time to time is to bring to the our attention our failure to have been prepared for the storm. This is why there is no such thing as a Biblically-based sermon that ANY believer does not need to hear, be it for his/her own benefit or the benefit of others that he/she can edify at some future point in time. Only God knows what awaits us around the next bend, and discipleship is not all about you! Spiritual issues require spiritual answers. If the advice being offered cannot be Biblically substantiated, it should not be accepted, keeping in mind that even a "Biblical" solution must be based on a review and consideration of ALL relevant Scripture to make sure you have the aforementioned "balance". In the best-case scenario, an advancing disciple will already have the answer in his/her edified soul structure and only need to apply it via the enabling power of God the Holy Spirit (John 15: 5). Having the mind of Christ, but not being willing to apply what one knows to what one thinks and does will not profit us or anyone else anything (James 1: 22). In the apostate stage of the Church Age, the pews are filled with many spiritually immature believers who are Matt. 7: 27 "crashes" waiting to happen, partly due to the many pastors behind the pulpits who are not Biblically qualified or functioning as Scripture requires. Such believers are participate in "religious" activity on a regular basis, but are not growing in either God's grace or knowledge (2Pet. 3: 18). 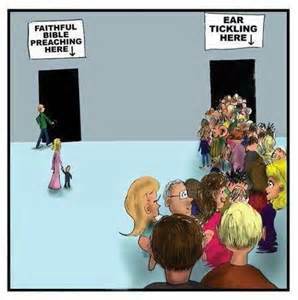 Many pastors who ARE Biblically qualified and functioning are dealing with believers that, " ...do not endure sound doctrine, but wanting to have their ears tickled (hear what they want or don't want to hear), the will accumulate for themselves teachers in accordance to their own desires (2 Tim 4: 3 NASB italics mine)." Do you know (or care) which line your in, or are you in any line at all? (Ouch!). Taking advice on spiritual issues from well intending human friends, but who hold and express human viewpoint that runs contrary to the mind of Christ (1 Cor. 2: 16) can lead to disaster. "A man of many friends comes to ruin, but there is a friend (God) who sticks closer than a brother (Proverbs 18: 24 italics mine." In the spiritual realm, one's "cabinet" consists of the doctrine(s) that one (should) has in his edified soul structure (Psalms 119:24/Matt. 7: 24-27). IF there are missing cabinet members, the balance is not going to be established. As scoffers and critics will quickly point out, there are what appear to be conflicting advice in the Word of God. There ARE times when the correct response would be to do one thing, and at other times to do just the opposite. What the scoffers do not realize, that what appears to be contradictions is not a deficiency, but are part of divine design to provide the needed balance when making choices. It is the ability to discern which of the two (or more) options that one has is best, that distinguishes the advancing disciple from among the rank and file believers. According to Scripture (Eccl. 32-8 NASB), there is, "... a time to give birth, and a time to die; A time to plant, and a time to uproot what is planted (vs. 2); A time to kill, and a time to heal; a time to tear down, and a time tlo build up (vs. 3). A time to weep, and a time laugh; A time to mourn, and a time to dance (vs. 4). A time to throw stones, and a time to gather stones; A time to embrace, and a time to shun embracing (vs. 5). A time to search, and a time to give up as lost; A time to keep, and a time to throw away (vs. 6). A time to tear apart, and a time to sew together; A time to be silent, and a time to speak (vs. 7). A time to love, and a time to hate; A time for war and a time for peace (vs. 8)." There is an ample supply of Scripture that, when taken independently, can support either course of action. This highlights the need to have a well-balanced, edified soul structure that provides this balance. The devil and/or his spokespersons have a long, long history of putting a different spin on things that God said or didn't say (Gen. 3: 1, 4/Matt. 4: 6/Luke 4: 10, 11/John 8: 44/2 Cor. 11: 14/Gal. 3:1/ 1 Tim: 4,2, etc., etc.. Interesting to note in the Matthew 4 and Luke 4 incidents, the Lord Jesus Christ responded with an appropriate application of Scripture! In the secular world, people like cashiers and bank tellers are best trained to detect counterfeit currency NOT by keeping up with latest and never-ending products of counterfeiting, but by the ability to readily confirm the real thing. The same principle applies to building an edified soul structure. The more accurate doctrine one has in his/her soul structure, the easier it becomes to detect false doctrine and or practices. This is where a reliable cabinet of counselors comes into the picture. Having developed the spiritual discernment to make the best choices that comes along with spiritual maturity is key when engaging in spiritual combat (Eph. 6: 12) with the forces of evil. The spiritual combat I speak of is not the stuff that is portrayed in Hollywood horror films, but of the battle for the immediate control of one's thought processes that takes place each and every day rather one is aware of it or not. The Bible teaches that, there IS a time for EVERY event (couirse of action) under heaven, that is, all of the activities that take place in the human environment here on planet Earth (Eccl. 3: 1). In many cases, one's course of action IS clear, even though the clear choice may not be what we might want to do. If what we are about to do amounts to what the Bible calls sin, then we, by doing so, are making the WRONG choice(s) if we engage in it. For an advancing disciple, what the choice to be in such scenarios is a "no brainer". What can be challenging to even the most mature disciple, is when one must choose between what is good and what is better. Our daily choices DO impact our lives and the lives of tnose around us. If Scripture calls for us respond by either taking or refraining from specific actions, then we already have the "right" answer(s), even when following the counsel of the mind of Chris is against everything that our natrual fallen nature would have us do. Fallen man is by nature, self-centered. Fallen Man does not naturally love his neighbor. Fallen man does not put the concerns of others ahead of his own. Fallen Man does not naturally forgive others. Etc., etc., etc.. Even when the "positive" side of the fallen nature in Man is in view, much of "good" things that fallen Man does is to secure something for himself in return. This is evidenced by how quickly people can turn on others when they discover that they are not going to get what THEY wanted out of the good they have been doing. In closing, consider that there are many, many "counselors" out there and within ourselves that are going to influence and pressure us to reject the mind (thinking) of Christ (how God sees things) 1 Cor. 2: 16. The counselors of Psalms 119: 24 are the principles of the Word of God that we (should) havve stored away in our edified soul structures (Matt. 7: 24-27) that speak to us when God the Holy Spirit brings them to our conscious minds (John 14: 26) at the appropriate time. We are guilty of rejecting the mind of Christ at the point of reception when we choose not to make the study and meditation of the Word of God a daily practice. We certainly find the time every day to listen to what the devil's world has to say through the media, music, and entertainment. We are guilty of rejecting the mind of Christ every time we choose NOT to apply the doctrine that we do have, or should have, in our edified soul structures. There are consequences (Matt. 7: 27/Hebrews 12: 6) for these decisions; a point that the alternative counselors usually fail to mention. The counselors of Psalms 119: 24 are the principles of the Word of God. To what extent one takes their advice is a daily choice all of us make.